The market of uav currently is still in the oligopoly stage. In this market, DJI accounts for nearly 70% of the world’s consumable UAV market, and its advantage is still expanding. MI has always been with the identity of "price butcher", and has become an important "disturber" in the market. After they launched the MI phone in 2011, by the high cost performance, it has fleetly seized the market, becoming a no negligible new force in the mobile phone industry; then, through the investment in succession, it rapidly opened up many markets such as routers, TV boxes, mobile power, hand rings, headphones, motion cameras, air purifier, electric cooker and so on by the powerful "cost performance" strategy. Now, it has come to the UAV market. MI’s largest weapon, in addition to a powerful cost performance, is also its "imitation" style: MI phone paid tribute to iPhone in those years, which making the name of “Rebus” soon widely spread. Although MI UAV is still a very common four axis aircraft in the form, its appearance is not really like other brands, which is completely original. However, in many details, it still has strong traces of "imitating others’ great achievements" such as the battery compartment of DAJ, CGO3 removable spherical console of Yuneec, the modular design of XIRO Xplorer (see picture below, which includes collapsible foot and the collectible handset bracket on the remote control) and so on. However, during the “imitation’ process, MI also tries to greatly improve the design of others, for example, the folding foot design of the MI UAV can be completely flat and the machine feet can also be locked through the buckle, which is more perfect than XIRO Xplorer; and the assembly and disassembly of its spherical lens is also easier than Yuneec Q500. Therefore, although the wheelbase of MI UAV is longer than that of Phantom 4 and XIRO Xplorer, it is really much more portable. In addition, many people feel that MI UAV looks a little ugly, but when seeing the real machine, you’ll also agree that the craftwork of this UAV is still not bad. Anyway, it’s impossible for UAV to use an aluminum alloy shell, so MI UAV’s strong smell of plastic is not a problem; on the contrary, as long as looking at it carefully, you’ll find that the craftwork of its shell is really good and the feel is very perfect. However, the MI UAV still has a lot of flaws in its details, especially for the UAV tested by us, the craftwork of its self tightening propeller is poor, which can not be as tight as a general self tightening propeller after slight dialing, and moreover, the lock head on a propeller may loose occasionally (MI official says that this separation design is to reduce the cost, and when selling accessories, only plastic parts will be sold), which will make the users mistakenly think it's been tight, but in fact it’s not - no wonder even Lei Jun also dropped the propeller on the live broadcast (see picture above). We must know that if the propeller gets loose (known as at-the-oars) due to not tightening when flying, it may lead to an extremely serious accident. 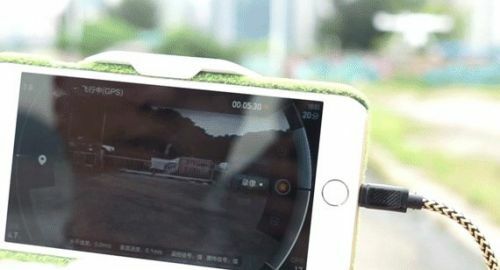 In terms of performance, the specifications used by MI uavs are actually only the ones used by DJI Phantom 3 last year: there is no dazzling computer vision and no magic automatic obstacle avoidance. The automatic flight function it provides is almost all the old technology achieved by GPS last year. Of course, this is not the fault of MI, and so far, no launched UAVs have been able to reach the level of Phantom 4: MI can't, but Zero, 3D Robotics and Yuneec can't either. MI’s competitor is definitely not the latest and most high-end Phantom 4 (well, even the top Professional and Advance of Phantom 3 last year is still not easy to be caught up), its goal shall be: coming up to the lowest end of Phantom 3 Standard / 4k of DJI and meanwhile sniping other equally backward rivals. It is true that the MI is never known as "powerful technology", but well known for its "powerful price performance": it has put all the technologies that can be got in this industry through procurement, on this UAV: 4K camera, 2 km transmitter, optical flow inductor, 4.35v high voltage battery and so on and so forth. We can see from the above picture that MI is not inferior to the low-end DJI UAV in terms of parameters, but its price is only about 2/3 of DJI’s. However, the parameters can only reflect a small part of product quality in many cases. Besides the advantages of MI supply chain, we can still see the immature experience of its cooperative partner Fimi Tec, and there is also a lot of maladjustment in product’s usage scenario. Perhaps, Fimi Tec has a great potential, but they do not have the experience of the consumable UAVs; it’s even not been up to the experienced 3D Robotics and Zero, let alone comparing with DJI, the leader of consumable level UAV. 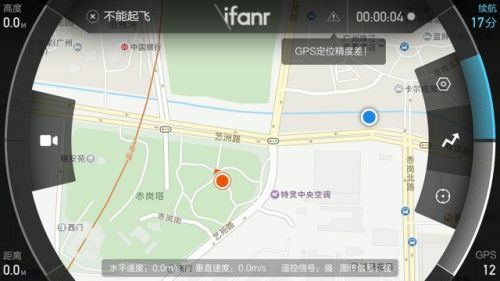 In fact, Ifanr had met a lot of mishap during testing, and it had also suffered from various system bedbugs, including that the remote control cannot be connected with cellphone and the UAV can not fly after connection; in addition, Ifanr’s Guangzhou team and Beijing team were also encountered with many mishaps, such as GPS had unusual situations and UAV suddenly entered the "Guillotines mode" after takeoff, flying transversely all the way and then hitting the wall to suicide... Fortunately, there was no serious accident. Even if the problem of system bug has been solved, the quality of MI UAV is still inferior to that of Phantom 3. Although MI UAV has adopted the axial length whose length is longer than that of DJI, if an external force is met at the self stabilizing state, the UAV still can not keep as stable as Phantom 3; the effect of its bottom ultrasonic height determination is just so-so, and even in the case of small wind, its vertical drift often exceeds 0.5m (the official network claims that the accuracy within the work range of ultrasonic is ±0.1 m). What's more, its flight dynamics is also sensitive, and the intervention of flight control is not natural enough; if the UAV player’s operation is not smooth enough, the fuselage will swing sharply. After exchanging the situation with Ifanr and Fimi teams, they indicated that the firmware is only public beta now, and the stability is still being debugged. Then, they launched three firmware updates in a week and quickly made some improvements. Although we can't guarantee that the UAV will not fall down or fail any more, at least, we haven't seen the UAV fly ballistic again. In addition, the new firmware is also improved in stability (shown in video above); even if its ultrasonic height locating is still not better than Phantom 3 Advanced, in the term of low altitude control, it has been better than Phantom 3 Standard which dose not have ultrasonic (note: the DJI Phantom series are all equipped with ultrasonic height locating and optical flow inductor, excepting the most inexpensive Phantom 3 Standard). It is also worth mentioning that, MI UAV’s high voltage battery of 4.35v is very strong, and its endurance is pretty good. The endurance will be interfered by many factors, so it perhaps can’t fully fly for 27 minutes; however, in Ifanr's eye observation, the endurance is very close to Phantom 3, which is also better than many other brands of UAV. The term of camera is one of the strengths of MI UAV: by strong supply chain advantage, it has achieved the photographic combination of 4K resolution/30 frames which is merely able to be provided by DJI and Yuneec currently. As a result, MI should have been able to sweep all other UAVs in its parameters, but it's a pity that the Japanese earthquake made MI only receives a low version of 1080p. When will its 4K version be launched? Will it take a long time just like the “hunger marketing”? It is not known at the moment. Some tidings say that the three-axis console camera of MU is not purchased from Yuneec, but its design is extremely similar to CGO3 three-axis console camera: both are detachable spherical cameras and are likely to be suitable for handheld console; moreover, the performance of MI UAV’s three-axis console is also as excellent as Yuneec's, and will not fall behind the console of Yuneec or DJI. The low version of MI UAV on Ifanr's hand still uses the spherical wide angle lens which will makes the picture appear spherical deformation, they, however, didn’t use the wide angle over 130° of the motion camera but use the small wide angle of 104°, so that he lens distortion is very slight. MI's performance in image algorithm is totally different from that of DJI Phantom 3. MI camera’s postprocessing trace is very obvious, its saturation and contrast are higher, and the ISO is actively turned up to provide brightness; the advantage is that the image will be more pleasing, and users don't need a special post production. However, the shortcomings of MI UAV in shooting are also very obvious: the oil painting-like imaging makes the lines not sharp enough, high contrast also makes details of the dark bits lost, and its hot pixel is much more; considering that the aerial photographing UAV will often be used under strong light environment, it will bring many difficult problems to the aerial shooting fanciers. In contrast, DJI Phantom 3’s image lines are sharper, details of the dark bits are more abundant, and the tolerance of the postprocessing is better. In other words, the MI UAV is aimed at the general fresh users, and DJI UAVs are more aimed at formal aerial shooting users. 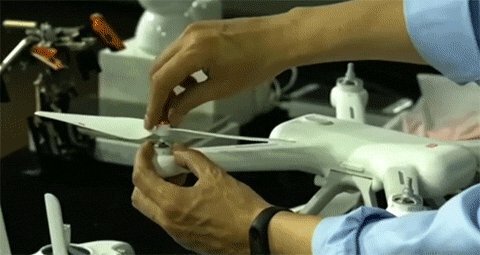 For freshmen who do not know much about aerial photography, they may don’t care much about the real time image transmission capability of the commonly-known “transmitter”, but for veterans, the distance of transmitter is almost the most important factor in the 0ion of UAV, because it determines UAV’s safe flight distance - last year, DJI Phantom 3’s transmitter could reach as far as 5km in the case of no interference, making it dominate UAV last year. Despite MI has a strong supply chain ability, it’s still impossible to obtain the Lightbridge transmitter prided by DJI, and can only obtain the 2.5-generation of Wi-Fi transmitter version used by Phantom 3 Standard / 4k. Although MI UAV’s technology is not the latest and the most advanced, it’s the best version that can be achieved by the general UAV industry so far. The transmitter used in the MI UAV tested by Ifanr is the low version of 1 km HD transmitter. 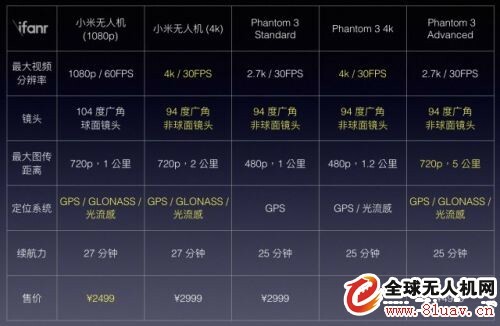 Compared with the middle and high ends of Phantom 4/Phantom 3 Professional/Advanced, without doubt, MI UAV will completely be defeated, but it is similar to the level of middle and low ends of Phantom 3 Standard / 4K; moreover, MI is using 720P HD transmitter image quality, which will undoubtedly be better than Standard / 4K that with only 480p. But it’s weird that even if MI uses the long distance transmitter, its firmware still locks UAV’s maximum flight distance at 120 m high and 500 m long: in other words, you can't fully use your transmitter system at all; assuming that you buy a high equipped 2 km version, then even a half of the transmitter function will not be used. Ifanr inquired the Fimi team and was told that, the 4k version with 2km transmitter will be able to fly farther in the future; but how about the low equipped 1km version? only the “it's possible” was told. Of course, we often encounter signal interference during flight, and most of the time, sometimes it’s impossible for a UAV to reach 1 km, and we do not suggest you to fly so far just for flight. Therefore, we think that MI UAV’s capacity of resisting disturbance is probably more important than its flying distance. The HD transmitter that MI UAV uses is the 5.8GHz signal rather than the Phantom 3 Standard/4k version’s 2.4 GHz; the measurement under moderate disturbance shows that MI UAV can also carry out HD video transmission within 400 m, and this distance is close to that of Phantom 3 Standard/4k. But don't forget, the image resolution of MI UAV is higher than that of Phantom 3 Standard/4k. In term of the transmission delay, MI UAV also has a strange performance: admitting that there is a delay in the WiFi image transmission (delay time of MI UAV is generally at 0.5s), but when the MI UAV performs a long and fast rotation movement, there will be a large delay and slow running for the transmitter (see figure above; notice that UAV’s rotation speed is not compatible with image transmission), and in the worst case, the delay may even be up to 30s. But strictly speaking, the operation of aerial photograph UAV is rarely wher such long-time rapid rotation, so the influence of delay is not serious. Are cheap UAVs must be unsafe? Another important concern of the public is the safety of MI UAV. 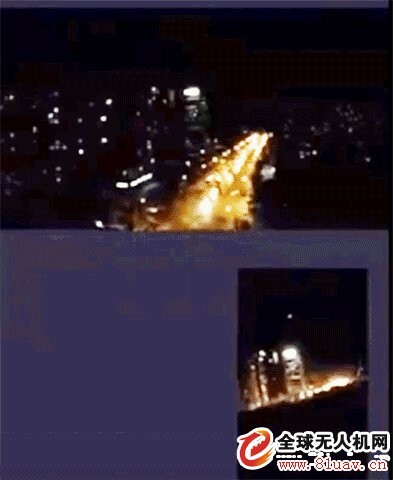 There are continuous anecdotal reports to query that the cheap UAVs launched by MI will lead to more freshmen’s indiscriminate flight, causing frequent accidents; there are also doubts about whether MI can guarantee UAV’s reliability at this price, especially during MI presentation’s live broadcast, there is a falling down actually (shown below); although MI insisted that it’s only a forced falling due to low voltage, the questioning voice never stops. On the issue of more novices joining this market, Ifanr doesn’t think it’s a problem; we can't deny that more and more novices joining aerial photography activity will be an irreversible trend. Anyway, without MI, other UAV corporations will still be more active in developing the market of fresh players. We know that the history of UAV is not long; in fact, even the so-called “senior UAV players” have only two or three years’ UAV operation experience, and years ago, these “senior players” were also the novices. Moreover, in recent years, many small start-ups have chosen to join the UAV industry and launch a low-end UAV with only 999 Yuan. These small start-ups do not have enough funds, the cost of their products is not high, and the after-sales service is existed in name only, and they are virtually impossible to provide any support such as aerial photography training and so on. Compared with those small entrepreneurial teams, MI, a big company, at least has more resources to promote aerial photography training and publicize UAV safety. 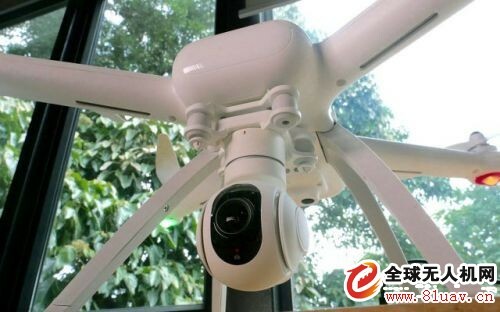 In addition, the Fimi team told Ifanr that the design of dual compass has been added to MI UAV, and such a costs increased practice which is only for security safety, is in fact not a pleasure for Shenzhen MI UAV team to do. As for the real security risks of MI UAV, to a greater extent, it’s that MI has become a well-known brand. MI's sales channel capacity may be stronger than that of DJI, but its UAV's quality is still inferior to that of DJI. We understand that MI’s UAV team has been improving the problem continuously, but there will still be many worries for its UAV security in the short term. However, considering that MI is more concerned with the goodwill than any other small UAV teams, they also pay more attention to safety on MI UAV: they have introduced the mandatory novice model, just as the MI electric car balance, on the MI UAVs. This mandatory novice model has brought a big trouble for Ifanr, but we can also see that MI is really more concerned about the safety of UAVs than any other startups (wry smile...). In MI UAV’s novice style, the users will be subjected to limited height (50m), limited distance (100m) and limited speed (6 m/s) in the first 300 minutes. MI claims its UAVs battery can fly for 27 minutes, so, in order to accumulate 300 minutes’ flight experience to release the lock, the users has to burn off at least 11 batteries. In fact, Ifanr had got the evaluation machine several days after MI’s live broadcast of, but in order to understand the details of MI UAV more clearly, we must work hard to “unlock” it. Every night in this week, we went to the quiet street to let the UAVs hovering, and it took us a full week time to unlock the novice model (wry smile again...). We can put up with mosquitoes every night to hover the UAV at a quite corner in the street, but for common users, it’s impossible for them to fly once a day and they may only fly on the weekend with one or two batteries’ time. Therefore, assuming that you have bought a MI UAV, you can only make it hovering over your head in the first month. So if you want to go to the street like Ifanr to unlock the novice mode by means of burning battery, you may have to find a distant open environment. For Ifanr, what’s most troubling is not how these restrictions impede our tests, but that although we know these restrictions are a great trouble for experienced players, we have to admit that: when we are worrying about MI’s joining the market will lead to a lot of novices to fly wildly, MI, in fact, has already taken the most efficient way to stop the novice to make trouble. 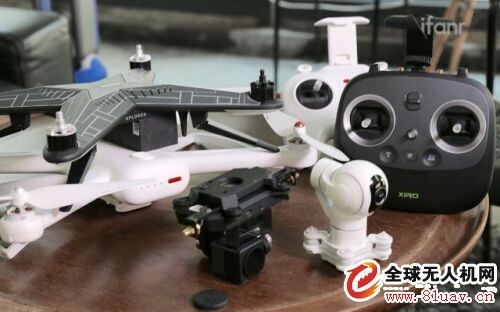 Ifanr must admit that MI, in the short term, will still can not compare with DJI UAV from the aspects such as technical, hardware and quality, but instead, we are more interested in whether MI can support its team to catch up quickly. Undoubtedly, MI UAV team is still inexperienced in various aspects, but in this week, we have also seen that they are certainly wher the ability to improve firmware level in short term. Therefore, considering MI UAV’s cost performance, even if its UAVs are still wher some inadequacy, we still expect they can improve the UAV further in the future. 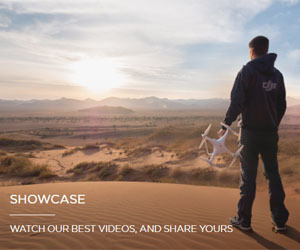 It’s still too early to say whether they can grow into a UAV team that can threaten DJI in the future, but Ifanr believes that: moderate competition is always healthy for the market; instead of indulging the chaos phenomena of startups, we more welcome powerful competitors to join this market.